Explanation: Halloween's origin is ancient and astronomical. Since the fifth century BC, Halloween has been celebrated as a cross-quarter day, a day halfway between an equinox (equal day / equal night) and a solstice (minimum day / maximum night in the northern hemisphere). With a modern calendar however, even though Halloween occurs tomorrow, the real cross-quarter day will occur next week. Another cross-quarter day is Groundhog Day. Halloween's modern celebration retains historic roots in dressing to scare away the spirits of the dead. Perhaps a fitting tribute to this ancient holiday is this view of the Ghost Head Nebula taken with the Hubble Space Telescope. 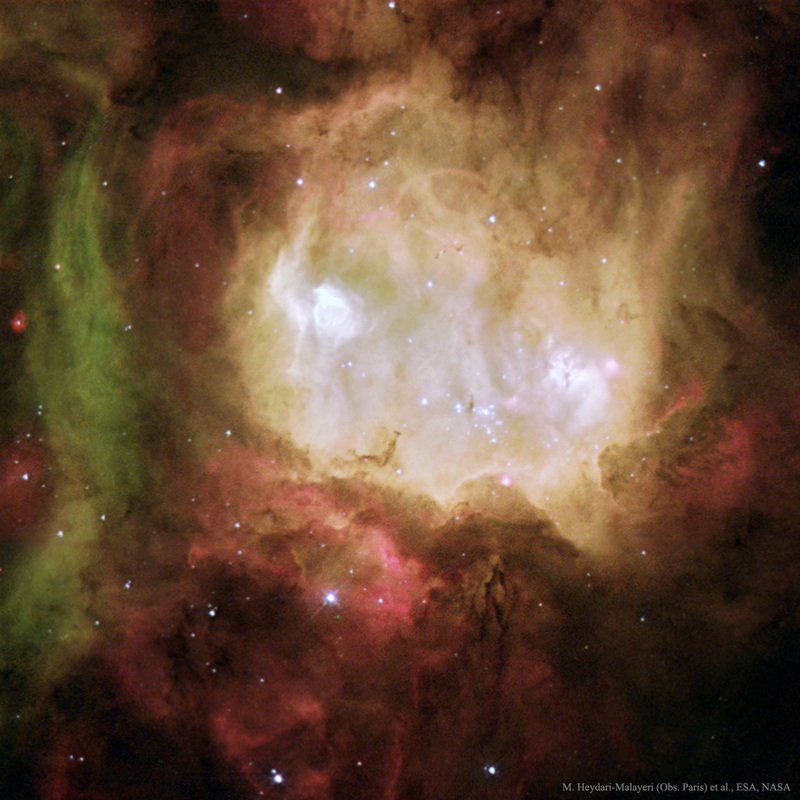 Similar to the icon of a fictional ghost, NGC 2080 is actually a star forming region in the Large Magellanic Cloud, a satellite galaxy of our own Milky Way Galaxy. 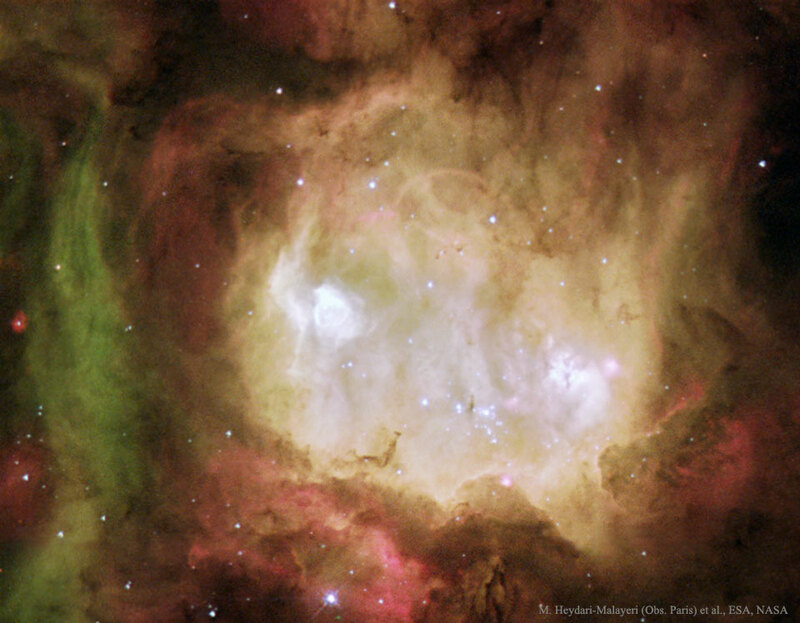 The Ghost Head Nebula spans about 50 light-years and is shown in representative colors.